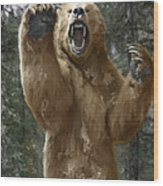 There are no comments for Grizzly Bear Attack On The Trail. Click here to post the first comment. 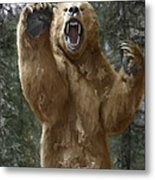 There is nothing more ferocious than a Grizzly Bear threatened off its food cache, encountered unawares on a hiking trail, or protecting its cubs. They are of incredible size and strength and can run as fast as a horse. They love berries, but have no qualms about eating meat. 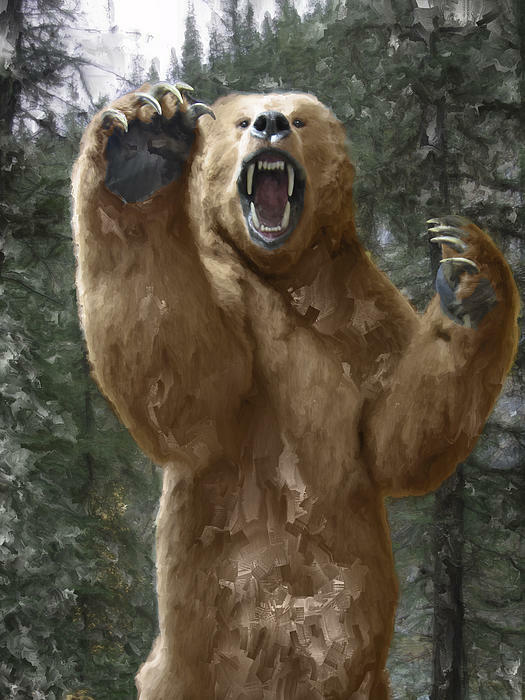 If hiking and ever encounter one this close, then it is too late to do anything. Just lie on your stomach, protect your vital parts as best you can, play dead, and hope the bear doesn't kill you. 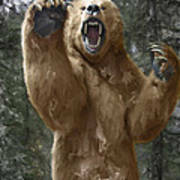 The Latin name for the bear is Ursus Arctos Horribilis.